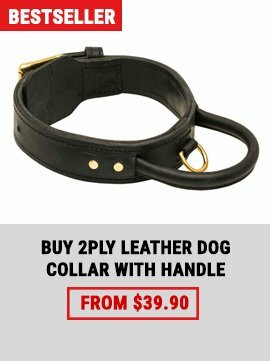 A collar is an equipment you have to buy anyway. 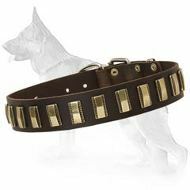 So choose the best for your pet at our E-store for German Shepherd dog breed. 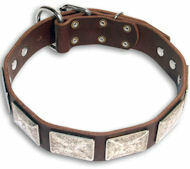 There are no doubts that the most durable and at the same time dog-safe collars are made of leather. 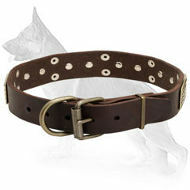 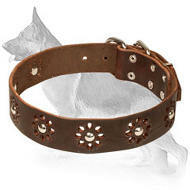 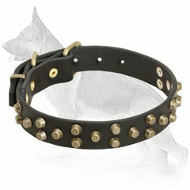 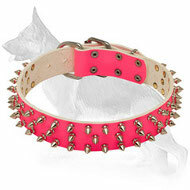 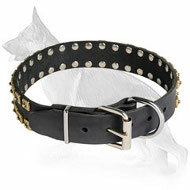 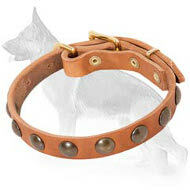 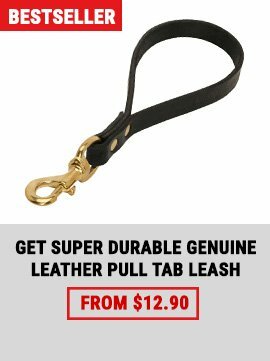 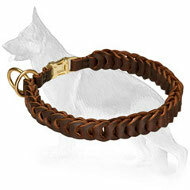 There is a wide choice of leather collars offered here. 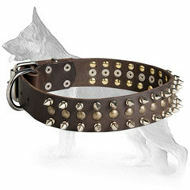 Select the collar of necessary model and width, with or without decoration, classic design or handpainted one. 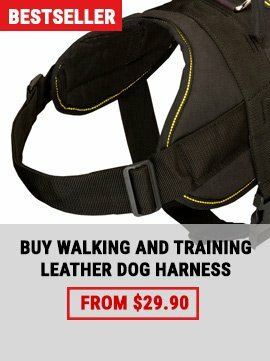 Only high quality and extremely comfortable collars are made to be used for daily walking, training and easy dog handling.